Texas sits in USDA Zones 6a through 9b. Pawpaw and persimmon are hardy at least to Zone 5, but the flatwoods plum is native to Zones 8 and 9, meaning it will grow in the lower half of Texas. Because these trees are native to Texas, they are useful for reclaiming and naturalizing the state's outdoor areas. Trees that prefer moist bottomlands are good candidates for use as erosion-control plants. Persimmon trees are native to Texas, hardy at least to USDA Zone 5. In the wild, pawpaw grows in multistemmed thickets along stream banks and in flood plains. Texas A&M University notes that the tree prefers "the moist, deep, rich soils of the bottomlands of the Pineywoods, Gulf Prairies and Marshes, and Post Oak Savannah." Its thicket-forming nature makes it ideal for stabilizing stream banks that have suffered from erosion, or for naturalizing and reclaiming natural areas. It usually grows 15 to 20 feet tall, sometimes 30 feet tall, and has a pyramidal shape. 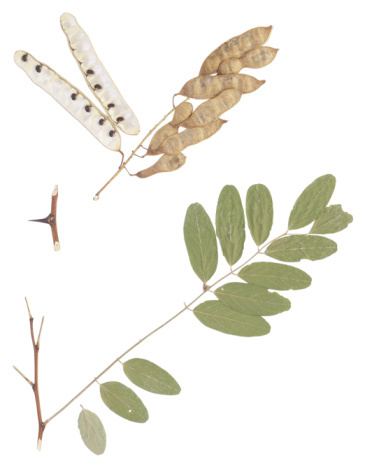 Its leaves are large and dark green and droop at the branch tips, giving the tree a wilted appearance. The leaves sometimes turn yellow-green in the fall. The flowers are 2 inches wide, purple, and don't have a pleasant smell. The pawpaw fruit is similar in shape and size to a banana: it's fleshy, soft and custard-like in texture and very nutritious, according to The University of Florida Extension. The fruits are edible in the fall once they've ripened to a wrinkly black. Raccoons, birds, squirrels and people love the paw paw fruit. While persimmon tolerates a wide variety of soils, is drought-tolerant and well adapted to the pollution and poor soils of urban sites, it prefers the moist, sandy soils of well-drained bottomlands. Its fruit litter can be a problem in urban locations, and it attracts flies and scavengers such as possums and other hungry mammals. The tree can grow up to 60 feet tall and is native as far north as Connecticut, west to Kansas and south to Florida and Texas. Leaves can be red in the fall but are more commonly yellowish-green. Flowers are white to greenish-yellow and fragrant. The edible fruit matures in the fall and may persist through the winter. 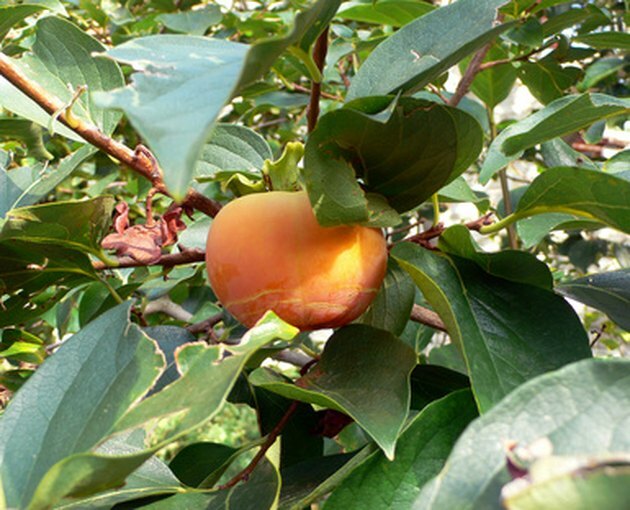 Persimmon fruits are used in syrups, jellies, ice cream and pies. The ripe fruit is not marketed for sale, because it's too soft for shipping. The fruit ripens after frost, but some cultivars don’t require the frost treatment. This tree colonizes by putting up suckers, so remove them immediately if a thicket is undesirable. 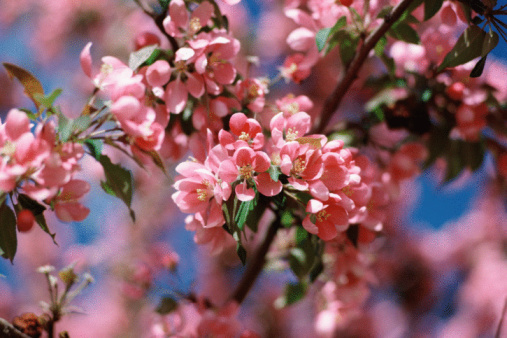 Flatwoods plum trees grow 15 feet tall in the true east Texas Pineywoods, according to Texas A&M University. It does not sucker. It's sun-loving and prefers acidic, well-drained, sandy loams; it will not do well in heavy clay soils. This is the last of the native Texas plums to flower, and the fruit also appears late in the season, between August and October. Flatwoods plum trees produce a heavy crop every 3 to 4 years. Fruits are 1 inch long, edible and attractive to wildlife. Flatwoods plum is moderately drought-tolerant. It makes a nice specimen tree for a deck or patio and grows quickly when young, but its growth rate slows as it matures and starts producing fruit. It's a good tree for urban areas beneath power lines, but lower branches should be removed if it's to be grown as a street tree. It may live 30 to 40 years on a good site.